Our Mountain store just found close to a thousand blades while we were doing inventory and we need to get rid of them, they are taking up space! While supplies last get 40 blades for $50. We have wood and metal please pick which you would like. We have all different sizes so when we choose we will do our best to mix it up so you get a wide range of blades. Most blades are pre packaged in either 10 or 5 count packages, on occasion individual blades will be sent. 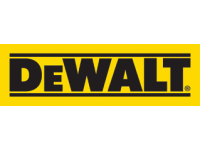 All blades are "Dewalt Brand Blades"
When you purchase this you are buying 40 blades. You do not need to set quantity to 40 at check out. This is a great opportunity for contractors! Includes: (1) 12V MAX* Li-Ion Battery Pack 30 minute charger (1) 4" 6 tpi wood cutting blade (1) 4" 18 tpi metal cutting blade kit bag Features: Adjustable 3-position pivoting handle allows user to make difficult cuts in confined spaces 9/16" stroke length delivers fast cutting speed Variable Speed Trigger with 0-2700 spm provides blade control for precision cuts Keyless lever-actio..